Retirement is just one more public action by a working politician for which an active constituency should have a say. If you ever find yourself on the other side of an argument from Emily Bazelon and Dahlia Lithwick, check yourself, and then check yourself again, lest you wreck yourself. These are extremely intelligent people who do not put pen to paper without serious aforethought. And yet I find myself disagreeing with them strongly on the subject of Supreme Court retirements—specifically, those of Ruth Bader Ginsburg and Stephen Breyer. The case for retirement has been made ably by the likes of Erwin Chereminsky, Randall Kennedy, Jonathan Bernstein, Marc Tracy, and others. 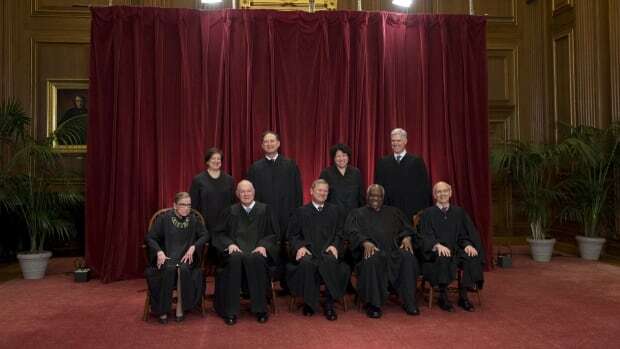 In short, Ginsberg and Breyer are on the left of a sharply divided Court and they are not young. Ginsburg, in particular, is in her eighties, has already suffered through a cancer battle, and has experienced a range of injuries. What&apos;s more, the current partisan arrangement allowing Democrats to dominate the justice selection process may not last long. Democrats have around a 50 percent chance of holding the Senate this year, and probably roughly similar odds of holding the White House in 2016. Should the justices step down now, they could be replaced by people of similar ideological persuasions. Waiting longer holds out a real chance that they would be replaced by people well to the right of them, tipping the Court&apos;s precarious balance on such issues as abortion rights. If you lobby the president or call your member of Congress to try to get them to vote a certain way, it&apos;s not because you think they&apos;re stupid or haven&apos;t considered your position. 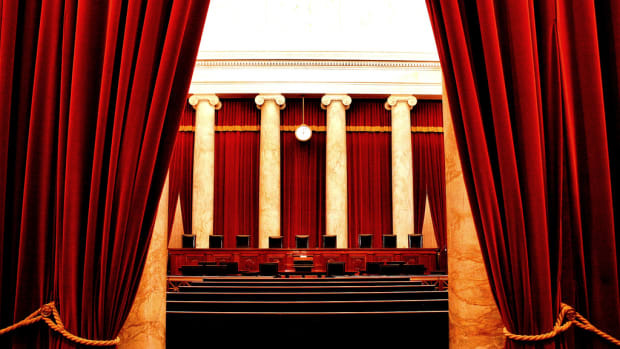 Nonetheless, a position on the Supreme Court is a political job, and those who hold it behave politically. They assemble coalitions to strategically advance issues they care about. They are at least somewhat sensitive to public opinion. 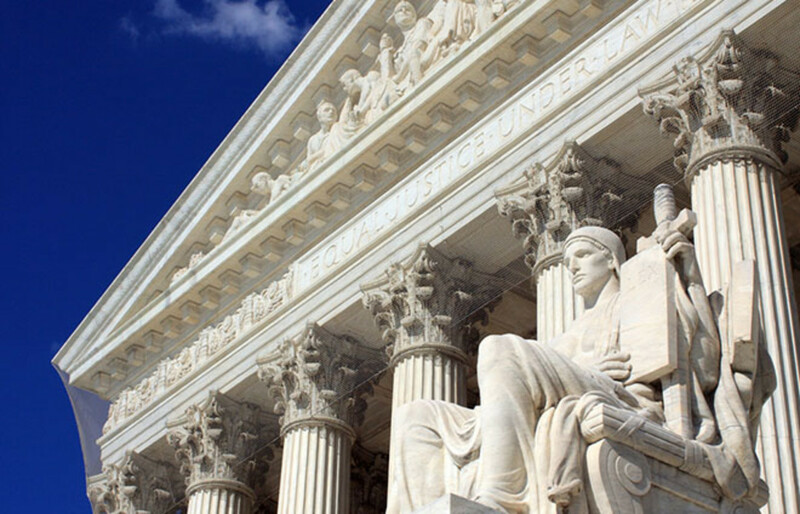 Justices may be insulated from elections and unrecognizable to most Americans, and they needn&apos;t attend county fairs or kiss babies to keep their jobs, but that does not mean that they are not, in a broad sense, politicians. And as politicians, they will be subject to requests and demands from those who care about public policy. This is why protesters on both sides of an issue will rally in front of the Supreme Court on the day of a hearing. The justices are obviously free to ignore the protesters, but if an issue is important, surely there is no harm in making one&apos;s views known about it, and perhaps some good may come of it. Well, if one case is important, then surely whether a justice is replaced by her ideological twin or her antipode is far more important—this could affect the outcomes of dozens, even hundreds of cases. Yet Lithwick detects condescension among those calling for retirement: "They seem to assume judges suffer from poor judgment.... Do Ginsburg’s critics think she has forgotten her age, or her medical history, or the date of the upcoming election?" I must object here. I certainly can&apos;t speak for everyone asking Ginsburg or Breyer to step down, but I doubt any of them believe that the justices are senile or naive. They are not trying to remind the justices of anything. They&apos;re trying to pressure them. That is a legitimate practice in politics. If you lobby the president or call your member of Congress to try to get them to vote a certain way, it&apos;s not because you think they&apos;re stupid or haven&apos;t considered your position. It&apos;s because you want them to know that there&apos;s an active constituency that is paying attention to the issue and would be either pleased or displeased by their public actions. I am also troubled by the argument made by both Lithwick and Bazelon that urging Ginsburg too much to retire could "backfire." Should we take this to mean that Ginsburg might well agree that retirement is the smart thing to do if she cares about liberal policy priorities, but she&apos;d be willing to jeopardize those priorities just to spite those asking for her resignation? What a horrible portrayal of one of the country&apos;s leading legal minds! Despite what the title of Lithwick&apos;s article says, Ginsburg is not "irreplaceable." None of us is. She will be replaced. Maybe this year, maybe 10 years from now, maybe longer, but it will happen. The question is by whom. There&apos;s nothing wrong with making that an issue as she considers her legacy on the Court. 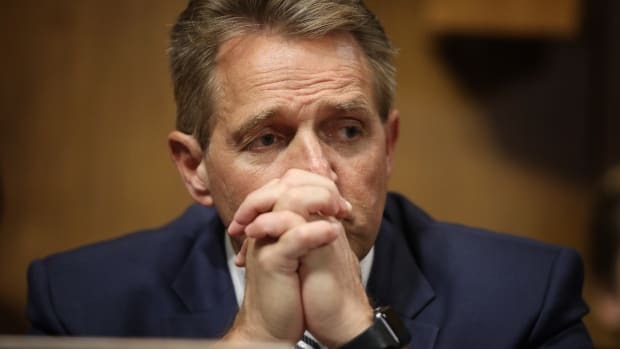 What Can We Learn From Jeff Flake's About-Face? Recent goings-on at the Supreme Court threaten to put into question the legitimacy of our political institutions. How Republicans can move past issues that are dangerous to their party. A book on Justice Sonia Sotomayor reveals the bruising backstory to the Texas affirmative action case set to be heard again this fall. 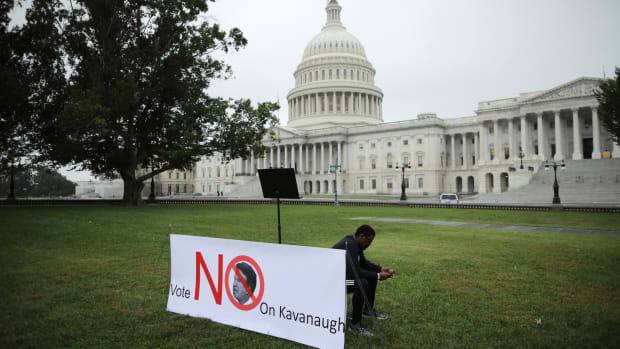 The ascendence of Brett Kavanaugh levied considerable damage to all three branches of government. 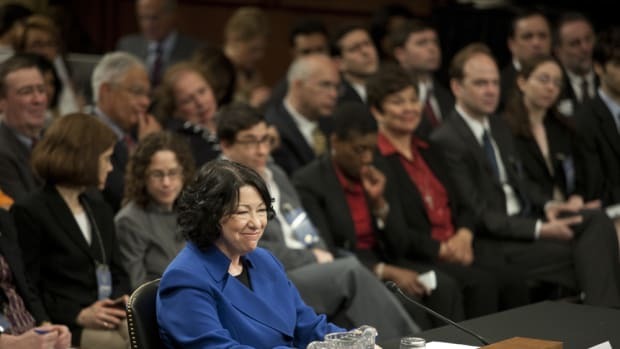 Hyperbolic attack ads from advocacy groups have diminished the popular esteem of the U.S. Supreme Court in the past, so as the campaign to place Sonia Sotomayor fires up, a little restraint is in order.